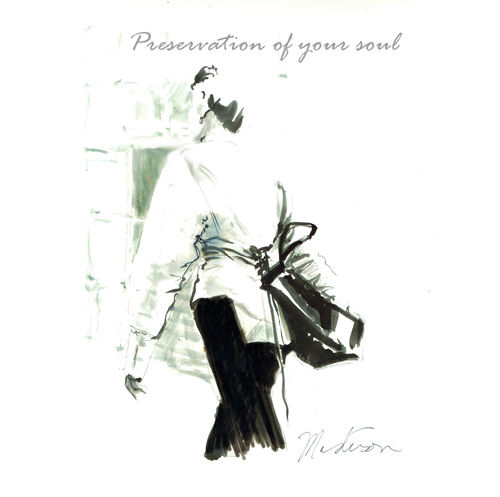 Drawn for Oskar the Label, this shirt is named The Preservation of Your Soul. I love it’s clean lines and statement black lacing up the back. Drawn for Oskar the Label, this shirt is named The Preservation of Your Soul. I love it’s clean lines and statement black lacing up the back. Sydney Fashion illustrator Marta Madison original art. Pen and Ink wash.